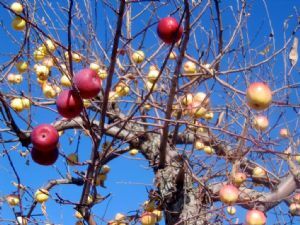 Bega Library is branching out its services to include a special fruit tree grafting demonstration from a prize winning fruit grower. The free July workshop will be held by Brad Ford, a prolific local and interstate exhibitor of fruit, flowers, poultry, wool, and cattle. Workshop organiser, Tanya Apps said that Mr Ford had won the Grand Prize Open ‘Tray of Apples’ at this year’s Bega Agricultural Show with an impressive assortment of apple varieties grown on his grafted trees. “The day will offer something new for library visitors and people wanting to explore the mysteries of grafting will be in expert hands. “Brad Ford is a popular local and long term Bega Show committee member who has successfully exhibited in numerous divisions up to Royal Show standard. “We’ve been told that there is some fine detailed work in grafting and it’s recommended that people bring along a magnifying glass to help them on their way. “Each person will take home their own newly grafted cutting after learning the basics in the workshop,” Ms Apps said. The workshop will be held on Thursday 9 July at 10am.